Richard Susskind is a prolific writer about the future of law. 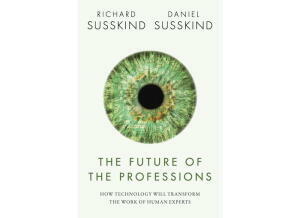 In his book, The Future of the Professions, he addresses the issue of whether machines will replace lawyers. According to research by Susskind, traditional lawyers will mostly be replaced by advanced systems, or by less costly workers supported by technology or standard processes, or by lay persons armed with online self-help tools.Technology replacing human jobs is evident in the extinction of telephone operators in existence during the 19th century. As Jay Reeves discusses in Computer Beats Lawyers in AI Challenge machine-based decision making is real and growing. The good news for lawyers is that machines may be able to compete with and sometimes outperform human lawyers in case outcome prediction, but no machine can provide the services an experienced and trained counsel can provide. It begins with how we share our expertise. As Susskind discusses in The Future of The Professions, none of us has sufficient knowledge to cope with all of our daily challenges. As humans, we have limited understanding and look to professionals for assistance. Professionals have the knowledge, expertise, skills, and know-how that others don’t have. 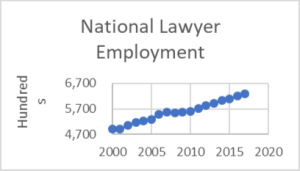 It should be comforting for current and aspiring lawyers that the profession is not fading out. 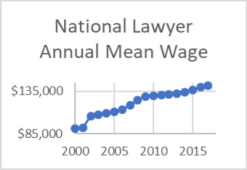 In fact, according to national cross-industry lawyer employment data from the Bureau of Labor Statistics from 2000 to 2017 the number and wages of lawyers seems to be steadily increasing. “Traditional lawyers” may be fading out in the sense of conducting book research, transcribing documents, photocopying, and trawling through documents. These repetitive activities can be better executed by machines. Rachel Hall presents a buoyant future for lawyers, she suggests that lawyers will move from litigating the dispute to programming smart contracts from the outset. To prepare for this she suggests law students and lawyers should seek out courses with modules on media, internet, cyberspace and data protection and should appreciate future clients in emerging areas such as virtual reality, robotics and artificial intelligence. While machines can outperform humans in speed and some types of analysis, machines may not be the best at negotiating deals, mediating disputes, or making ethical judgments. So where does this leave future lawyers? Our highest role may be as masters of the machines- using technology to their benefit not their detriment. Theodore Roosevelt famously said, “People won’t care how much you know, until they know how much you care.” Machines can know a whole lot, only you can show how much you care. 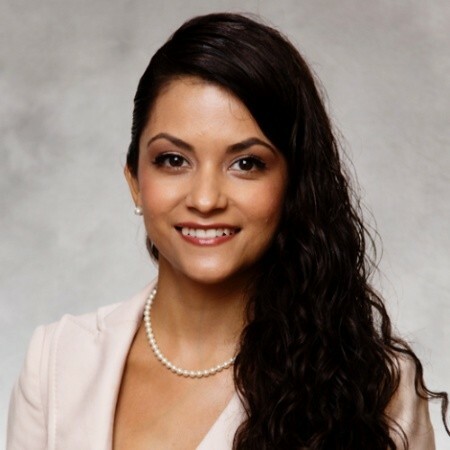 Alondra Bribiesca is a rising second year law student at Campbell University School of Law. Alondra is an Intern with Lawyer’s Mutual for the summer of 2018 as part of the North Carolina Bar Association Minorities in the Profession 1L Summer Associate Program.